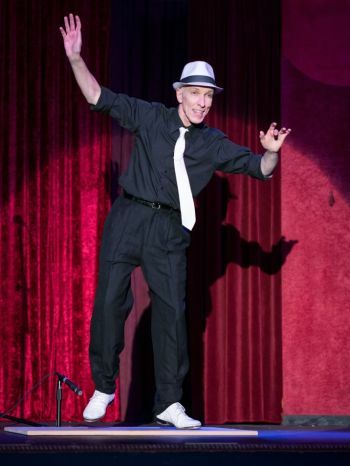 Tap Dancer Brian Jones has been performing since 1975. Known for his Rhode Island dance company (The All-Tap Revue) and his song-and-dance team with Susan Boyce (Jones & Boyce), and his street performances with Donald Suthard (Street Tap), Brian has toured as a modern-day vaudevillian from Hawaii to Europe. He has shared the bill with The Persuasions, Wally Rose, Robert Goulet, Ethel Merman, Savion Glover and The Boston Philharmonic Orchestra. A musical populist, Jones improvises with live musicians, or synchronizes to classic recordings— ragtime, jazz, swing, Latin, country, classical, Broadway, electronica.